The league is divided into two divisions, Little League division for players ages 4 to 15 and the Senior League division for players 16 and up (players ages 16 & 17 may also play in the Little League division). The Senior League play games on Monday, Wednesday and alternating Saturdays. The Little League play games on Tuesday, Thursday and alternating Saturdays. The playing fee includes uniform, cap, trophy, end of season picnic and other fun events. · All children and adults age 4 and up. · Teams include between 12 and 15 players. · Players hit off a tee or are pitched to by a coach. · “Buddies” help players with batting & fielding. · All players bat and play the field every inning. · No team is scheduled to play more than one game in one day. · No score is kept during games. · No strikes or outs. · Challenger Division players wear the same uniforms, patches and safety equipment as other Little Leaguers. · CVLL Challenger players must wear normal tennis shoes, no cleats allowed. · Bats, helmets and baseballs used by players must be Little League approved and are supplied by the league. The Challenger Division of Little League Baseball is a program for mentally and physically disabled youth to enjoy the full benefits of Little League participation in an athletic environment structured to their abilities. However, whenever possible and with reasonable accommodations, disabled youngsters should participate in unrestricted league play provided their participation is possible and fall within the standard rules and regulations of Little League. More than the skills of baseball learned through the experience, the value of the Little League Challenger Division is found in the proven therapeutic and socialization benefits of participating in sports, the strengthening of participants’ self-esteem, the opportunities to mainstream into other divisions of play, and the disciplines of teamwork, sportsmanship and fair play which are hallmarks of the Little League program. The philosophy of the Little League Challenger Division is to provide the framework so that every Little League program may offer a structured, athletic activity for all youth in the community. 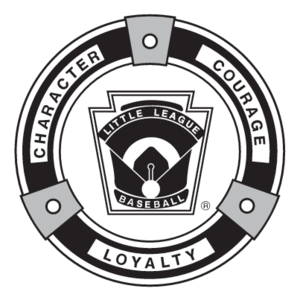 Playing equipment, uniforms, official shoulder patches, umpires, and any special event activities provided for existing divisions are to be available for the Little League Challenger Division participants as well. A special group of children and adults, who shun the description “special”, can now enjoy all the benefits Little League Baseball has been offering to youngsters since 1939. Playing with the same equipment, Challenger Division participants learn not only the fundamentals of baseball, but also how it feels to be just like other children pulling together as a team, being cheered, and earning awards for their achievements. Clinton Valley Little League is part of Little League District #6. Leagues within District #6 are: Clinton Valley Little League, Grosse Pointe Farms City, Grosse Pointe Park, Grosse Pointe Woods Shores, Fraser, Macomb Township, Harper Woods, Lac St. Clair, and L’Anse Creuse. Little League Baseball does not limit participation in its activities on the basis of disability, race, creed, color, national origin, gender, sexual preference or religious preference. Facebook Page Url has not been configured for this module.